Surprise with a romantic dinner by candlelight, or celebrating with a fun dinner with friends on board of "Aledo". 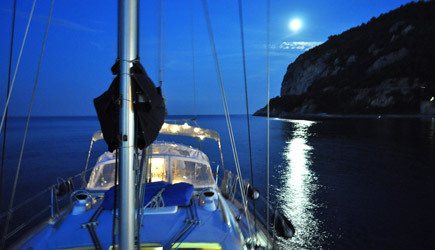 After sailing at sunset we'll serve you a fresh fish dinner, anchored in the beautiful bay of Noli. Price: The price for 2 persons is 290?. 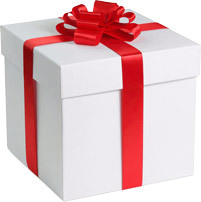 For every additional person price increases of 30?. (es. for 4 person the price is 350 € - for 8 person the price is 470 €). The price include: boat rental in exclusive, crew and dinner. There are no extra charges. How to book: to reserve the excursion a 50% deposit is required. We organize fantastic aperitifs at sunset to celebrate an event or for a pleasant outing with friends. 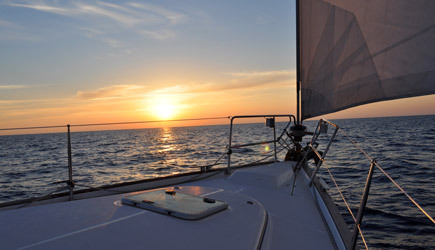 After sailing at sunset we will anchor in the beautiful bay of Noli to take a bath and celebrate. We will serve you an aperitif anchored in the beautiful bay of Noli. 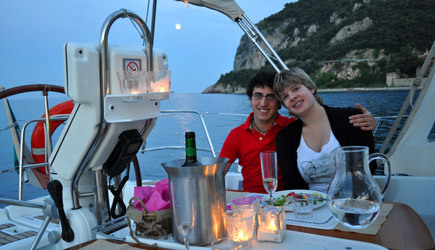 Price: The cost is 300 € for the exclusive boat rental with aperitif. The boat can accommodate a maximum of 11 people + skipper. 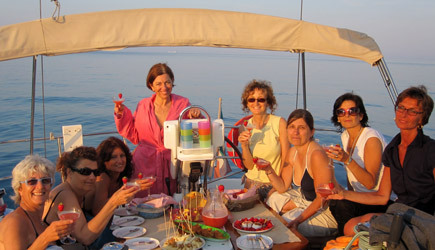 Price include: boat rental in exclusive, crew and aperitif. There are no extra charges.